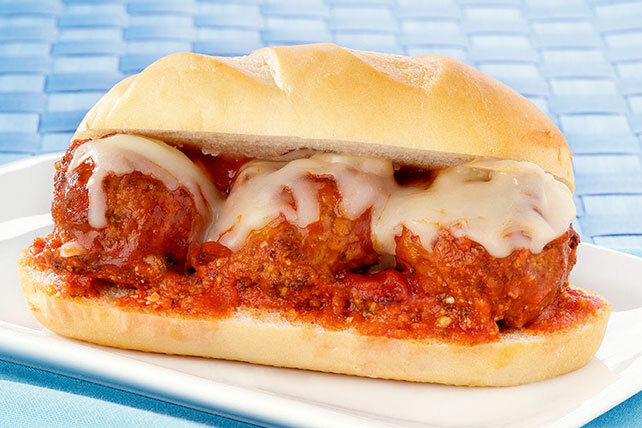 Discover the meatball lover's dream when you make this Meatball Sandwich with Cheese. Spoon into rolls and add the cheesy top for a scrumptious sandwich. Mix first 3 ingredients in large skillet until blended; stir in meatballs. Bring to boil on medium-high heat, stirring occasionally. Simmer on medium-low heat 8 min. or until meatballs are heated through, stirring occasionally.